A Crystal Oscillator is an electronic circuit that uses the mechanical resonance of a vibrating crystal of piezoelectric material to create an electrical signal with a precise frequency. ILSI RF, Crystal, and Clock Oscillator products, XO’s, are supplied in a wide range of frequencies, many different voltages, and logic options. Tight stability and low frequency stability is available on each unit. The output logic configurations we have available are CMOS, LVDS, LVPECL, TTL, and HCMOS. Our oscillators can be supplied in Surface Mount Device (SMD), thru hole metal can, and ceramic packaging configurations. 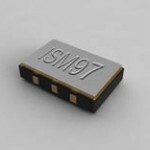 They can also be supplied in miniature ceramic surface mount packaging if required. For even more product options, please visit MMD Monitor/Quartztek Frequency Control Products.